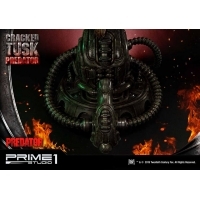 By buying this product you can collect up to 5246 loyalty points. Your cart will total 5246 points that can be converted into a voucher of RM52.46. This Premium Masterline statue is well-sculpted and based on the details of the dreadful hunter. 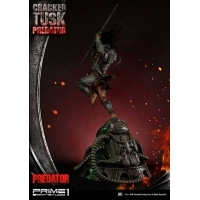 His remarkably detailed dreadlocks are flying in the air. 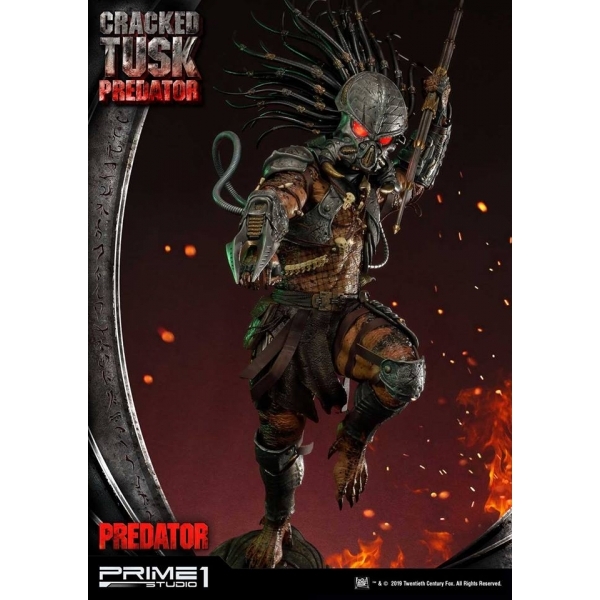 Moreover, there is a variety of real fabric material used as this statue's accessories such as a leather belt, leather armbands and so on. 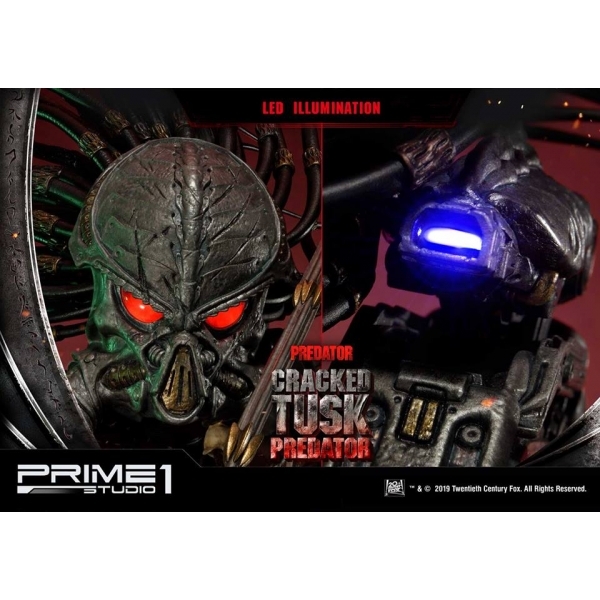 Not to mention, Yautja technological weapon, Plasmacaster is also known as the Plasma Cannon features LED light-up function on his left shoulder, another LED light-up feature on his Bio-Mask portrait. 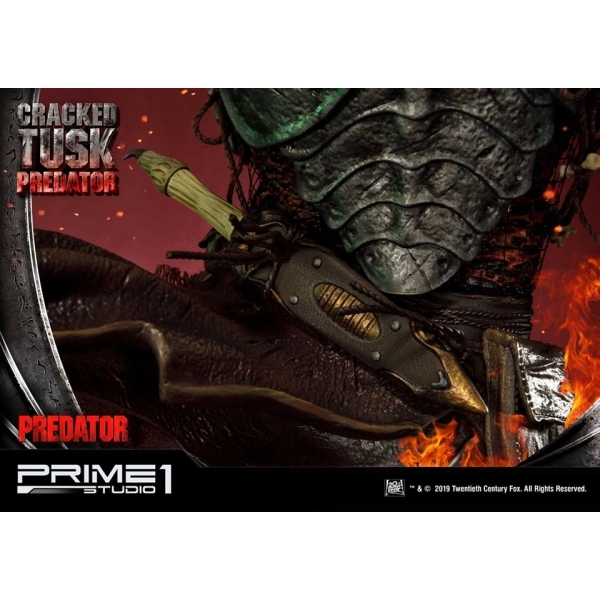 Additionally, his right forearm equipped with Wristblades/Gauntlet Knives, and holding in his left hand is the iconic Combistick also recognized as Telescoping Spear. 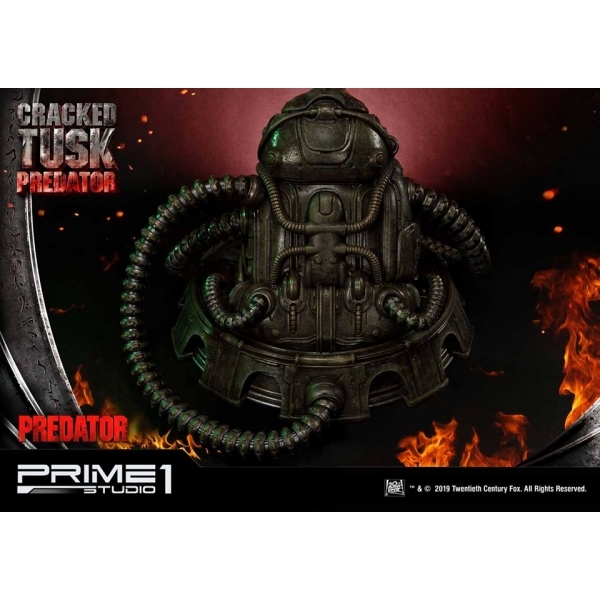 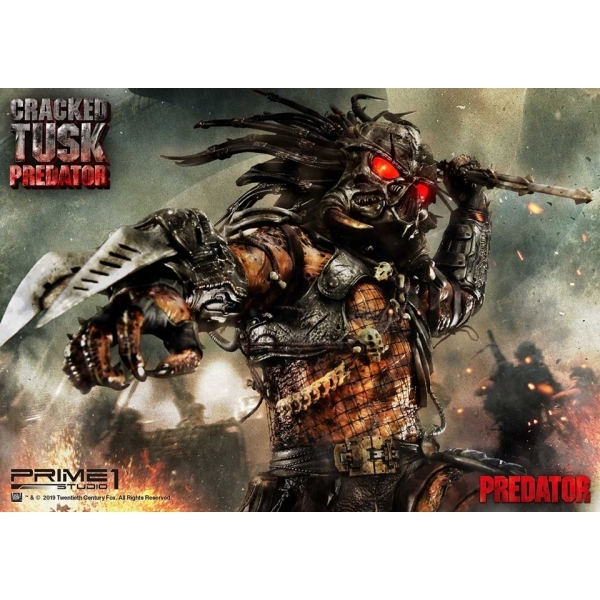 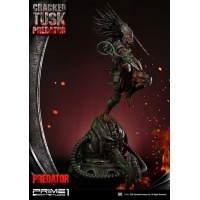 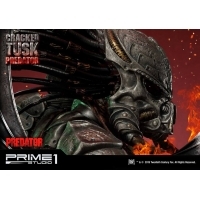 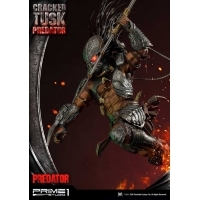 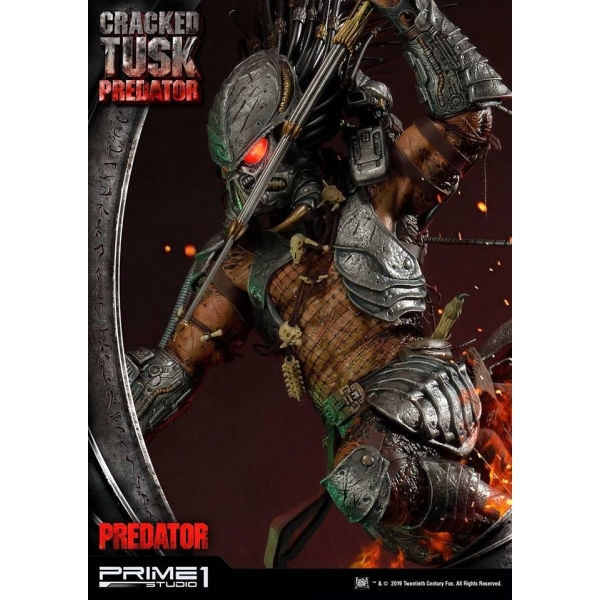 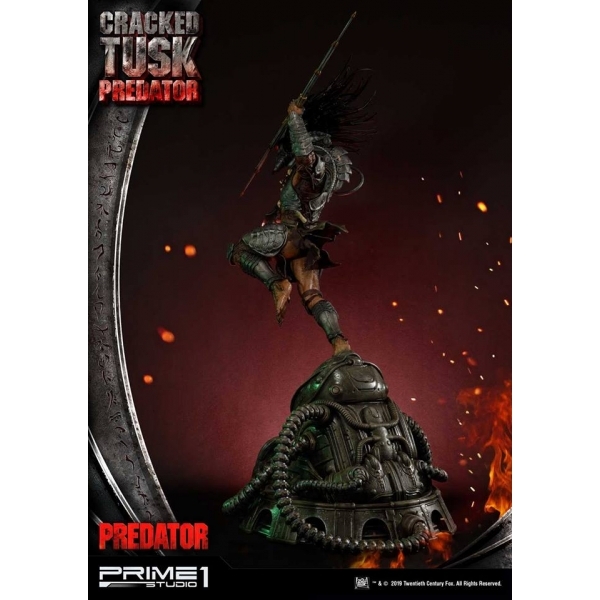 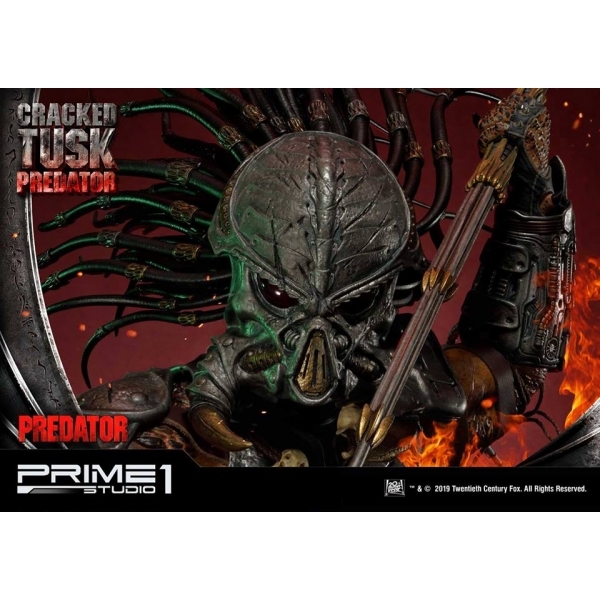 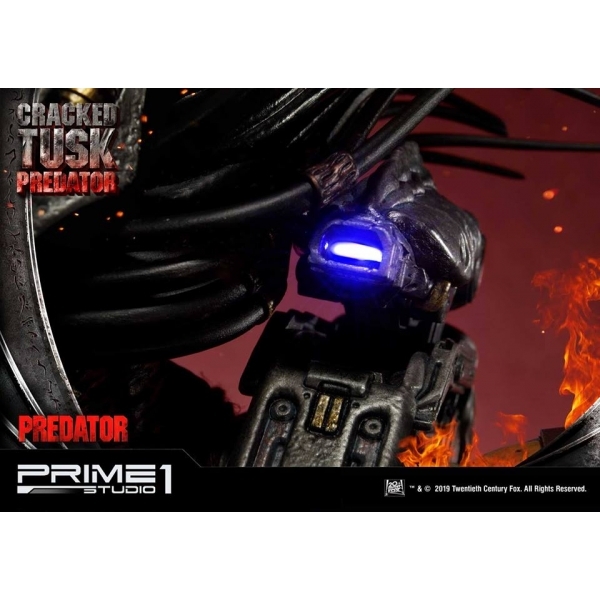 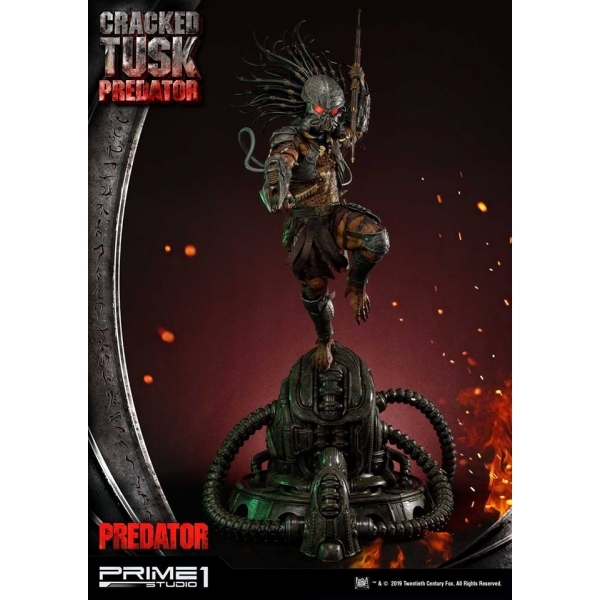 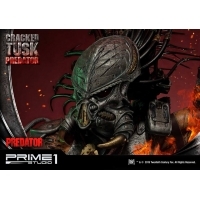 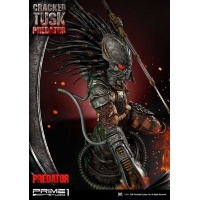 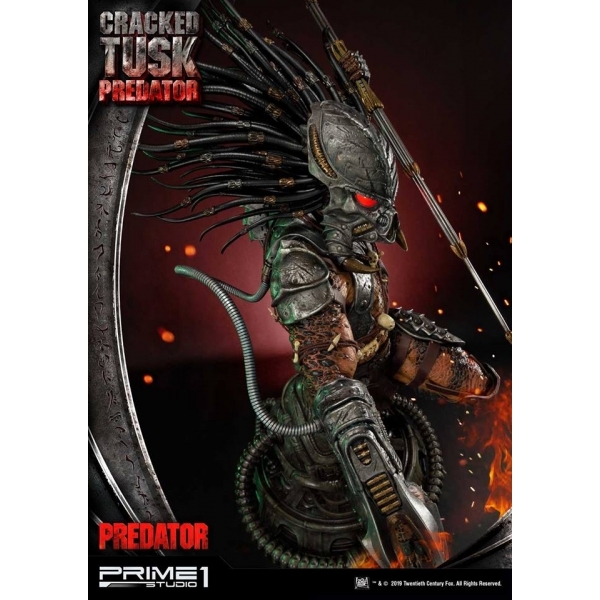 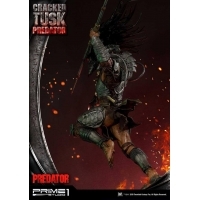 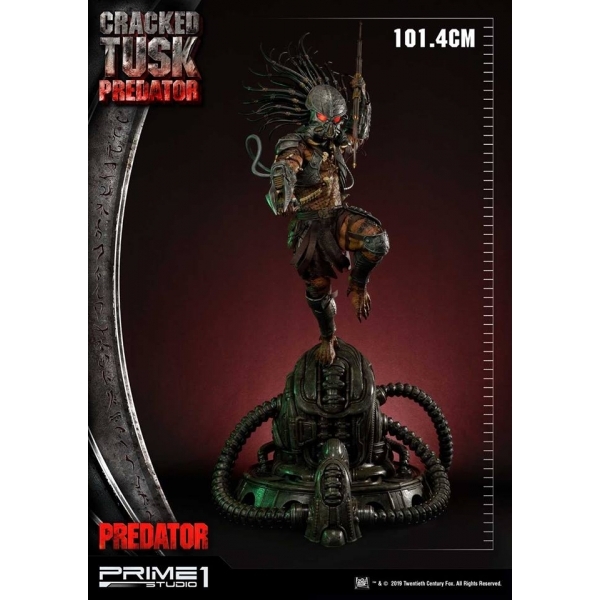 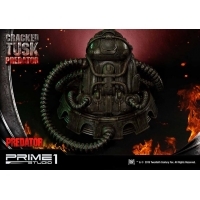 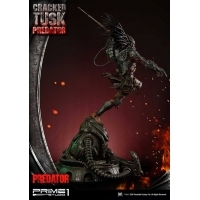 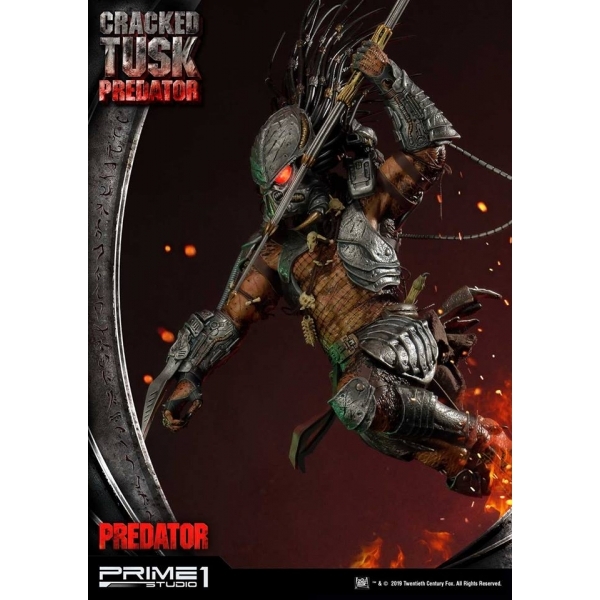 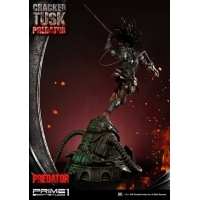 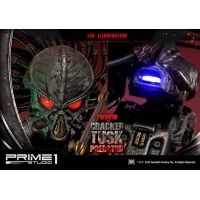 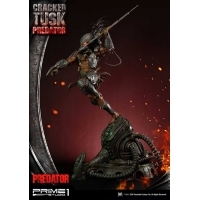 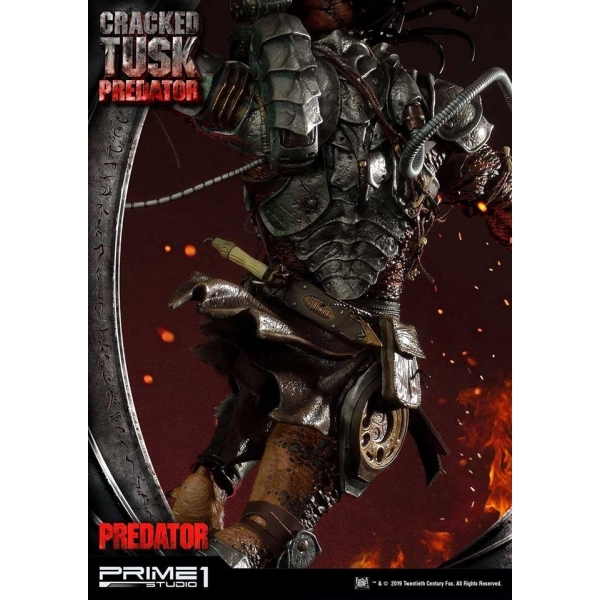 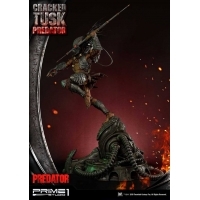 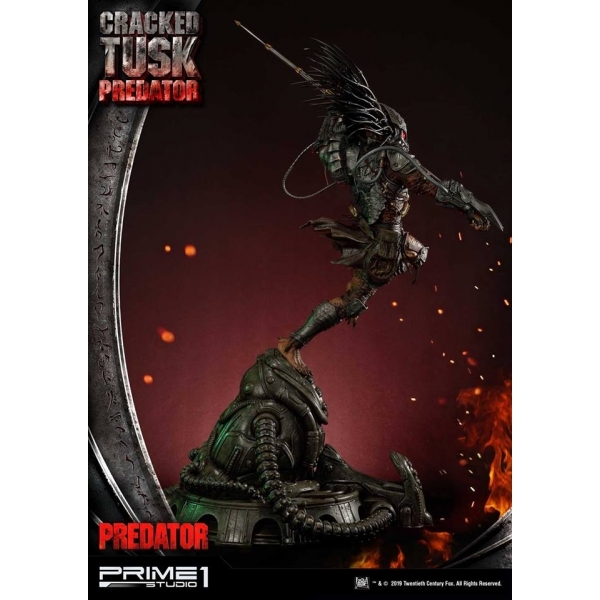 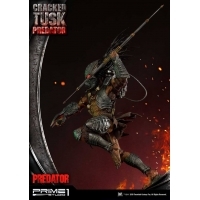 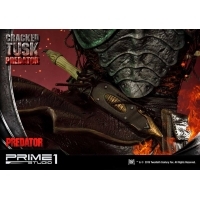 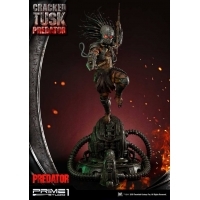 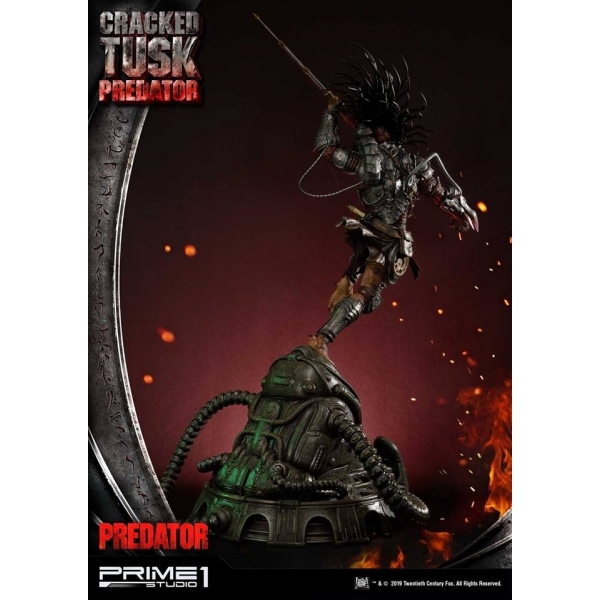 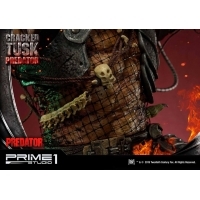 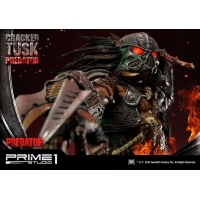 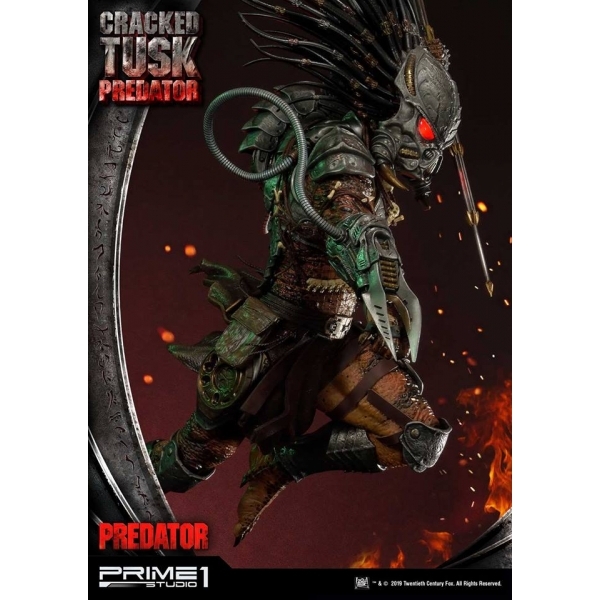 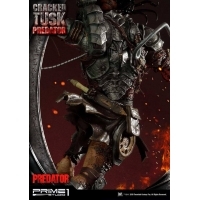 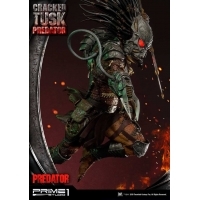 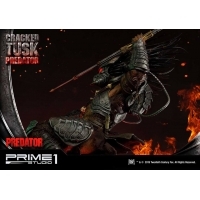 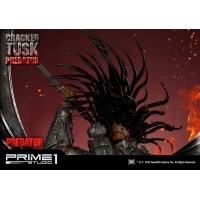 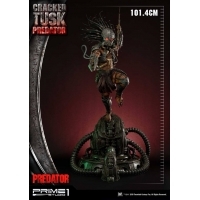 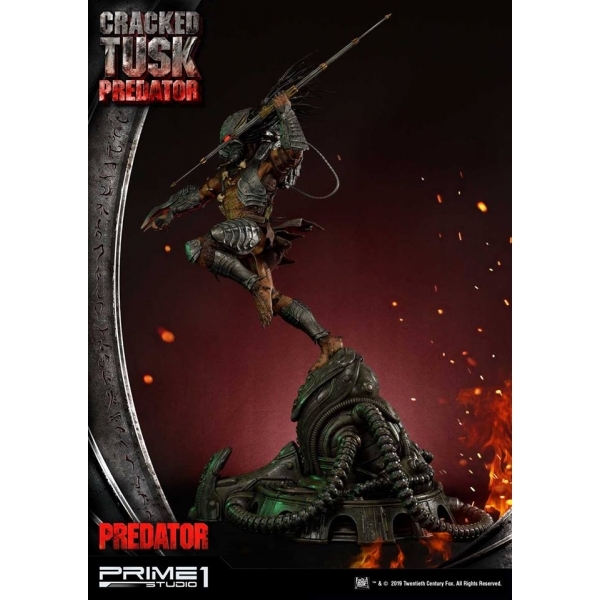 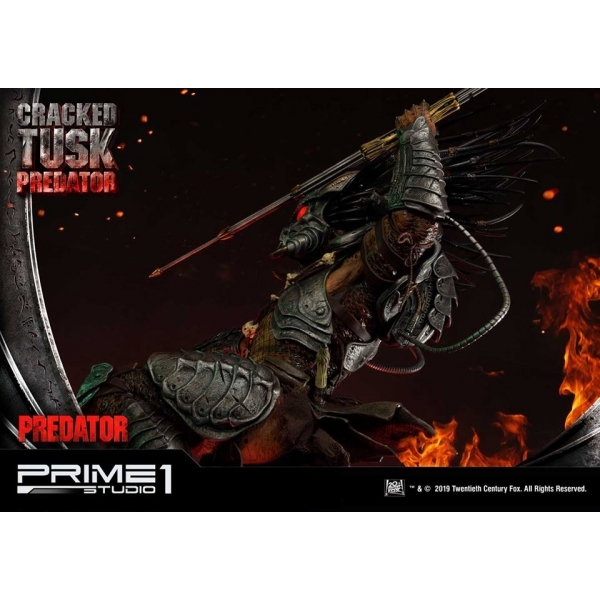 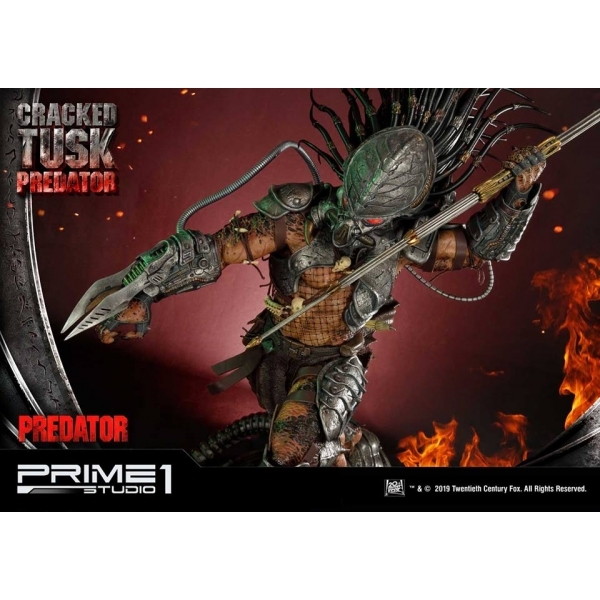 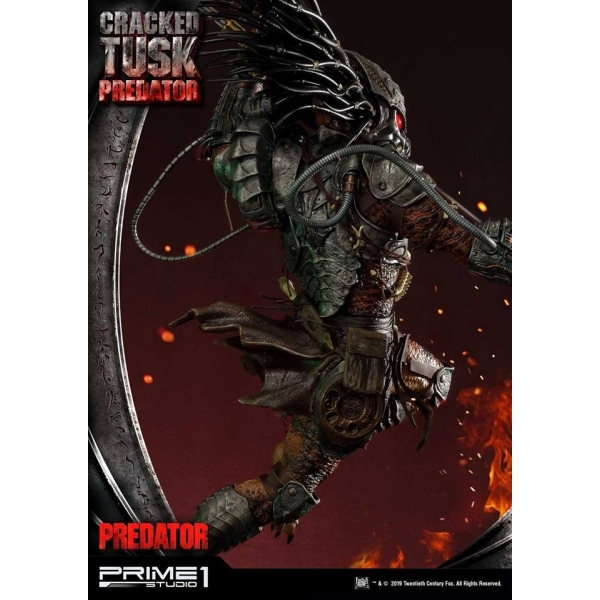 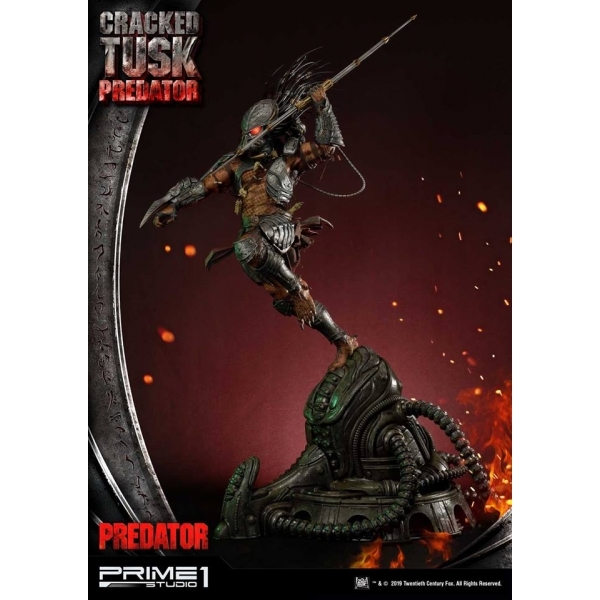 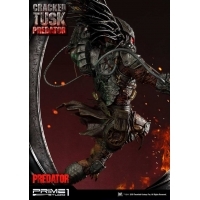 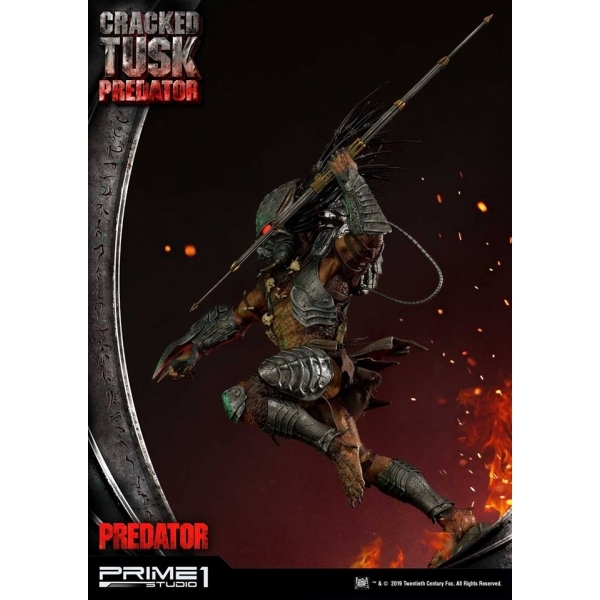 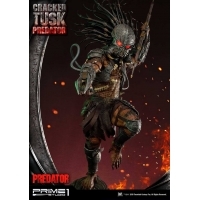 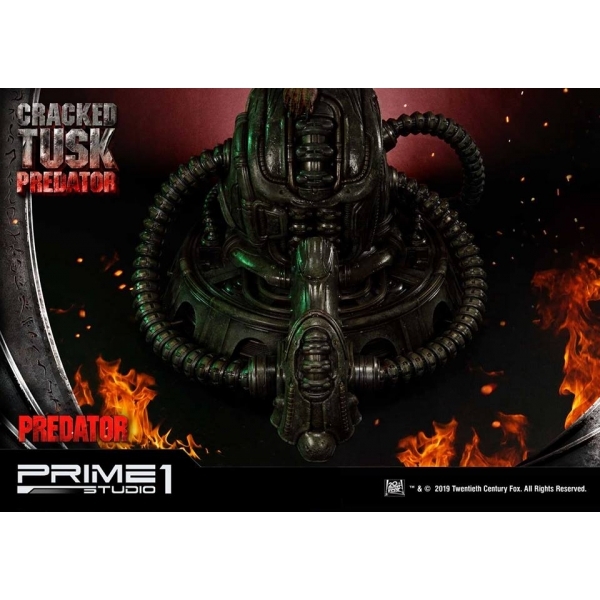 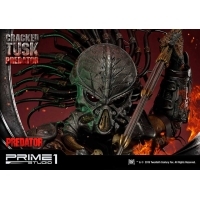 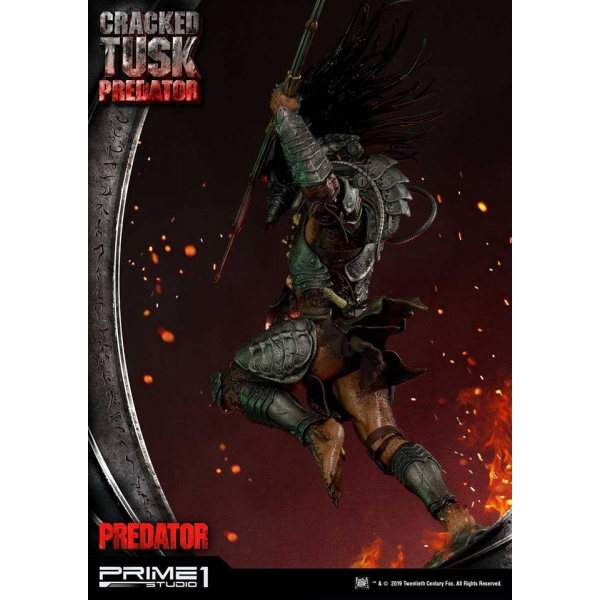 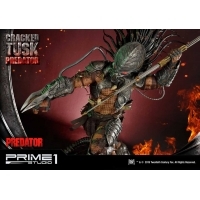 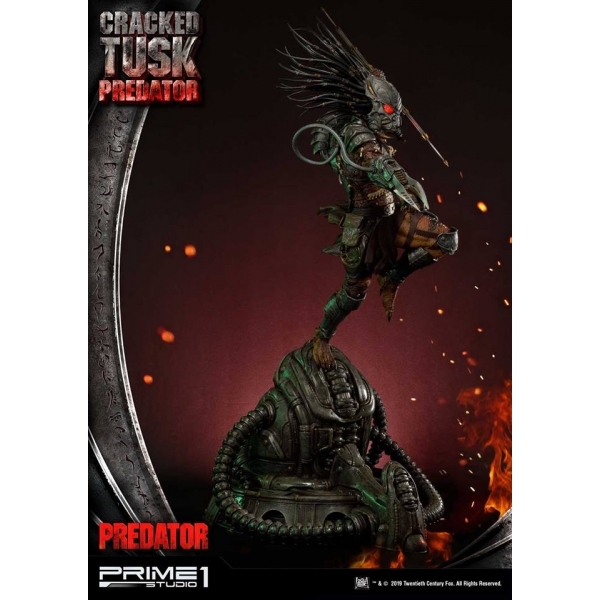 The exclusive version of Cracked Tusk Predator comes with an Unmasked Portrait.